Several factors, like river erosion, poverty, illiteracy and lack of social awareness, have contributed to making trafficking of persons in Bangladesh a grave social menace. There are several stakeholders involved in combating trafficking, along with commercial exploitation and sexual abuse of women and children. Women's rights related NGOs and activists have been working hard at trying to awaken the government and develop social consciousness to respond effectively to combat trafficking. 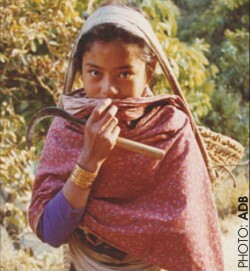 Laws of Bangladesh deal with kidnapping and abduction of women and children both under general and special provisions, such as the Suppression of Repression against Women and Children Act-1995, Suppression of Repression Against Women and Children Act-2000, the Suppression of Immoral Traffic Act-1933. Though there are laws essentially targeting trafficking in women and children, there are also loopholes and unscrupulous traffickers are taking full advantage of these to traffic women and children to adjoining countries like India and Pakistan. I have reason to distinguish those who undertake voluntary migration to West Asian countries and end up being exploited, with women and children who are trafficked to India and Pakistan. In the latter situation, the movement is involuntary and/or based on misrepresentation. The object is solely for prostitution or working in near-slavery conditions. Social workers and women rights activists have been working hard to trace, recover and repatriate victims back to Bangladesh from Pakistani and Indian brothels. In order to make the effort of tracing, recovering and repatriating trafficked persons more effective and result-oriented, a major action plan is necessary. Such action plan calls for regional cooperation, preferably in the SAARC region. Though there is a SAARC document against trafficking, the same does not address the issue of Victim/Witness protection. Such protection is vital for prosecution as well as for giving support to victims and witnesses to depose and assist prosecution. Though instances of such prosecution is few and far, so far as cross-border trafficking is concerned, the 'South Asian Regional Initiative/Equity Support Program' in collaboration with the human rights and women rights activists of the region, are undertaking the endeavour to hammer out a regional victim witness protection protocol for South Asia. If the protocol is adopted, social workers believe that the inherent weakness in the present prosecution system for traffickers may be reduced to some extent, if not eliminated. The summary of the proposed protocol is stated below for creating public awareness and encouraging discourse. Even though official data are lacking in the South Asia context, it appears to be widely accepted that incidents of violence against women and children (including trafficking) have considerably increased in the last decade. Few cases are reported to the law enforcement agencies and even fewer reach the trial stage and that 15 to 20% of the accused are convicted - most cases resulting in acquittals. One of the main reasons for the low rates of complaints and convictions appears to be the reluctance of victims to come forward in filing complaints against those who have violated their rights. Or to testify in court for fear of humiliation and threat to their own life and property or that of their families. Strong legal instruments for the protection of victim witnesses are therefore needed. Women and children who are victims of crime are uniquely vulnerable to threats and intimidation, far more so than the average witness. Their human rights are violated both in the course of the crimes committed against them and in their subsequent persecution by their assailants when they attempt to do their duty as citizens and testify. Violations of human rights are both a cause and a consequence of violence against and commercial sexual exploitation of women and children. Accordingly, it is essential to place the protection of all human rights at the centre of any measures taken to prevent and combat these crimes. The testimony of a victim in a crime of violence is often the best and the only evidence that can be obtained against an accused. It is therefore incumbent upon the State, in fulfilment of its duty of meting out justice, to ensure that victims who would be witnesses are protected against the threats and the intimidation, psychological and physical, of the associates of the accused. The victim-witness special status needs to be recognised. The State is best equipped to provide protection and security to victim-witnesses and thereby protect their human rights. Currently, neither India, Bangladesh, Nepal and Sri Lanka have a distinct law, policy, guidelines or programs to protect victim witnesses before, during or after the trial. Though some existing laws (penal codes, criminal procedure codes and constitutions) refer to witness protection, provisions appear to be insufficient to adequately protect women and children victim witnesses who have been trafficked for sexual exploitation. There is thus a need for a more rights based anti regional protocol to combat violence against and commercial sexual exploitation of women and children in South Asia and to protect and promote certain rights of victims and witnesses of crimes in proceedings where their lives, psychological and physical security and property are endangered due to their contribution to the collection of evidence in order to meet ends of justice. *To protect and safeguard the rights of women/children victims and witnesses of trafficking and commercial exploitation and sexual abuse of children and women against intimidation, retaliation and secondary victimisation. The State parties to provide that in any criminal proceedings relating to trafficking or commercial sexual exploitation or abuse any victim /witness of trafficking or commercial exploitation or sexual abuse may be given protection upon an application filed before the court by the said person or any members of her/his family or any other person associated with the case or the Court on its own motion or suo motu or in those cases in which the Court thinks fit to do so and gives appropriate directions. A risk assessment and decision to be made by the Court on the necessary level of protection in each case. The State parties to provide that the responsibilities of the witnesses include:Ê to testify before and provide information to all designated law enforcement officials in appropriate proceedings in connection with or arising from the activities involved in the offence charged;Êto cooperate with respect to all reasonable requests of officers and employees of the Government and be accessible to the law enforcement agencies, who are providing protection under this protocol and to regularly inform the appropriate officials of her/his current activities and address. The State parties to agree to provide residence facility, special protection, economic support, travel expense, medical treatment, etc. to witnesses of trafficking and commercial exploitation or sexual abuse. State parties to ensure that any witness given protection who fails or refuses to testify or to continue to testify without just or reasonable cause, when lawfully obliged to do so, may be prosecuted for contempt. If s/he testifies falsely s/he shall be liable to prosecution for perjury. The State parties to provide that the special rights and status which should be accorded to trafficking victims must be preserved whether or not they act as witnesses. Crimes of trafficking for commercial exploitation and sexual abuse to be well-documented. Record of the copies of these complaints should be maintained and accessible to the competent authorities. A First Information Report or the first report at the police station, as far as possible and practicable, be comprehensive and must include location of crime, description of offence, victim and accused, chronology of crime preferably from the date the victim was trafficked, surveillance report. Relevant sections of the Penal Code and other local and special laws, pertaining to the peculiar circumstances of the crime to be added to the first information report at the police station, if the victims have given concrete statements against the accused, indicating the applicability of the said sections or laws. The State parties shall necessary steps, such as, victims must be separated from the accused, after the rescue operations and should be treated with respect and dignity by the police and other authorities. The concerned/relevant magistrate or judicial officer or the members of the competent authority, as the case may be, to visit and supervise the rescue home, periodically, preferably once in a month to ensure adherence to court orders and directions. All victims willing or necessary to testify should be given a full witness protection program. They must be kept in the safe custody of a well-guarded rehabilitative institution. During a trial the victims should be protected at all times and separated at all times from the accused. The Court may provide for the victim/witness to give evidence by means of a live link or recorded videotape or arrange trail in camera if necessary. The State parties to provide that in all criminal cases the fact of the entitlement of the victim/witness to the protection and benefits provided shall not be admissible in evidence to diminish or affect his/her credibility. The State parties to provide that: all proceedings involving application for securing protection and the action taken thereon by the persons (Court Officials, Police Officers, Technical Support Providers or any person involved with the protection procedure) shall be under obligation to keep all the information and documents confidential. Violation of the confidentiality of the said proceedings/actions to be an offence. The State parties to ensure that the Victim/Witness Protection Protocol covers the following in the area of prevention of trafficking and commercial exploitation or sexual abuse : In consultation with the various agencies of the state and concerned non-governmental organisations, source locations, areas and transit points will to be identified, to reduce or eradicate the possibilities of trafficking of women and children. State parties to give support and recognition to women's self help groups at the village level or to the local bodies unit level watch-dog system to prevent trafficking and ensuring safe migration. They must take effective measures to battle those social customs, traditional practices that are fostering and feeding directly into the trade of trafficking of persons. In certain circumstances, the children of prostitutes need to be protected from their own family/guardians. For effective law enforcement the State parties must ensure that: compensation by exploiters to the victims to be considered. The assets and funds confiscated during anti-trafficking operations and investigations should be used to fund future anti-trafficking programs and operations. State will ensure that repatriation should be carried out depending on how safe and nurturing the family environment is for the victim. Repatriation will be done after their stay in a protective home. They will provide adequate financial assistance for meeting the needs of rescued victims during travel while repatriating them to their families or institutions in source areas. Repatriation to be done only with the consent of the victim. The survivor being repatriated should be counselled and prepared to return to the country of origin by way of medico-psycho-social care and basic life-skill empowerment so that the survivor is enabled to be reintegrated in mainstream life. State will also reimburse emergency expenses incurred by the police or other authorised escorts. State parties will ensure that the trafficked victims will be equally provided with the access to formal and non-formal educational opportunities, depending on child's need and interest. They also will formulate special schemes like employment guarantee schemes, agricultural subsidies, and medical support to provide assistance to the families of trafficked child victims. The State Parties shall grant to each other mutual cooperation and assistance in the areas of investigations, inquiries, trial, extradition, legal help and exchanging databases and any other assistance that may be required in consistency with the objectives of the protocol. The State parties should establish a monitoring body in each country within the region for the purpose of monitoring the implementation of the protocol. The author is Senior Advocate, Supreme Court of Bangladesh.